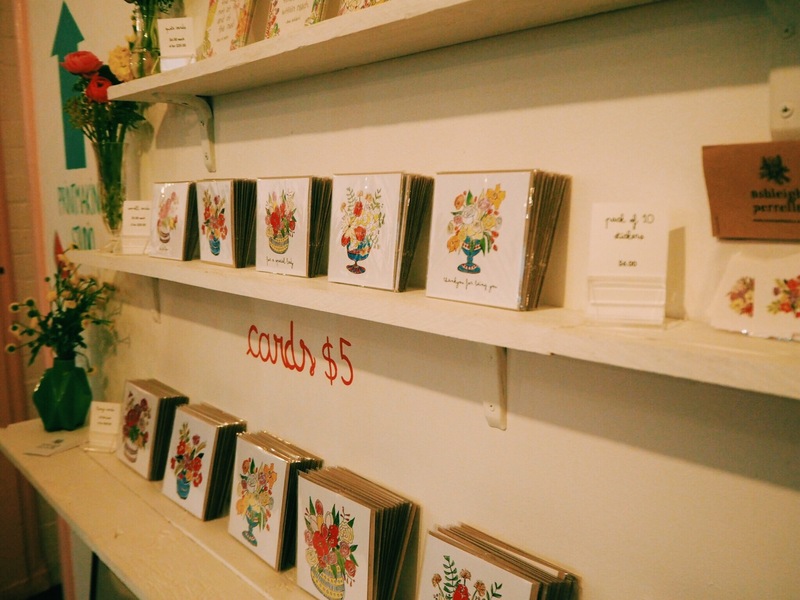 The latest Perth artist to take over kitsch gallery and goodie store Beau Est Mien in Northbridge is floral fanatic Ashleigh Perrella. 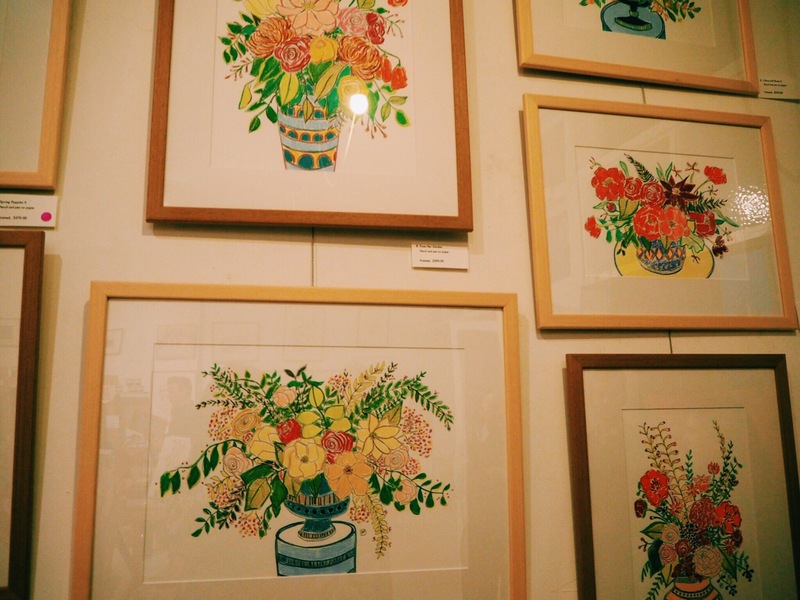 I was kindly offered an invite to her recent exhibition, and was so pleased to see all different walks of life popping in to check out her super cute floral illustrations and giftware. Featuring an electric, fruity colour palette in bright oranges and pinks, the detailed range of sweet offerings included inspiration cards, gift tags and beautifully framed illustrations in her signature style. When I asked Ashley why she illustrates flowers, the answer was simple. “Flowers are just so beautiful, and there is so much opportunity for creativity and expression. 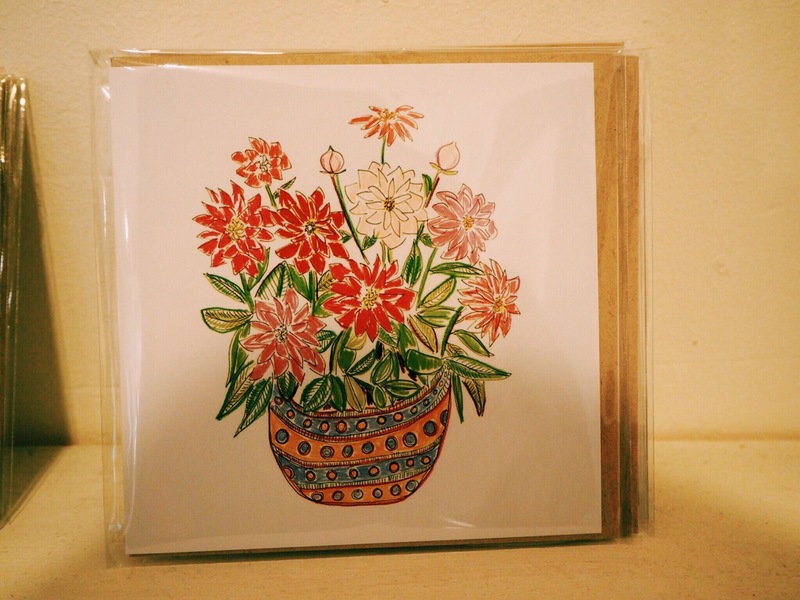 I also just love colour, and drawing flowers allows for endless use of colour”. I’ll agree with her on that one, colour makes me happy too! 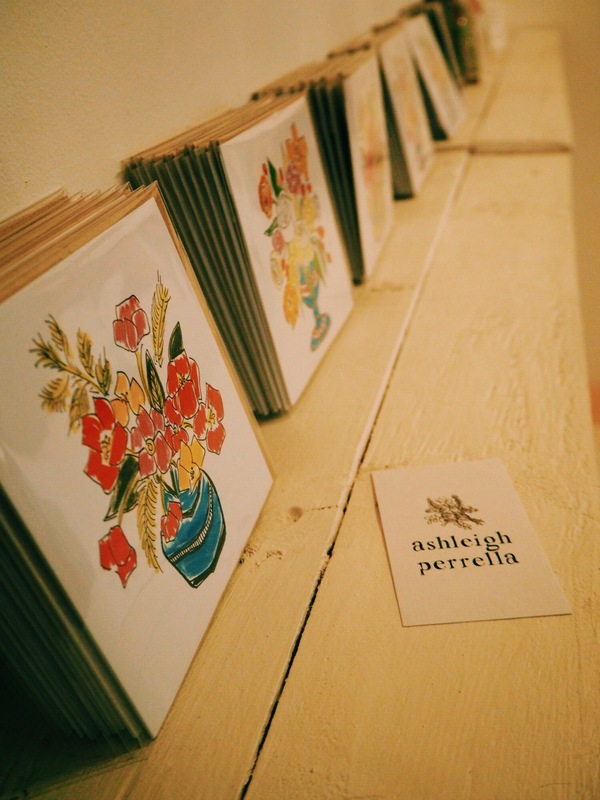 Ashleigh describes her art as vibrant, fresh, whimsical and feminine​, and draws inspiration from flowers, floral arrangements and floral designers. 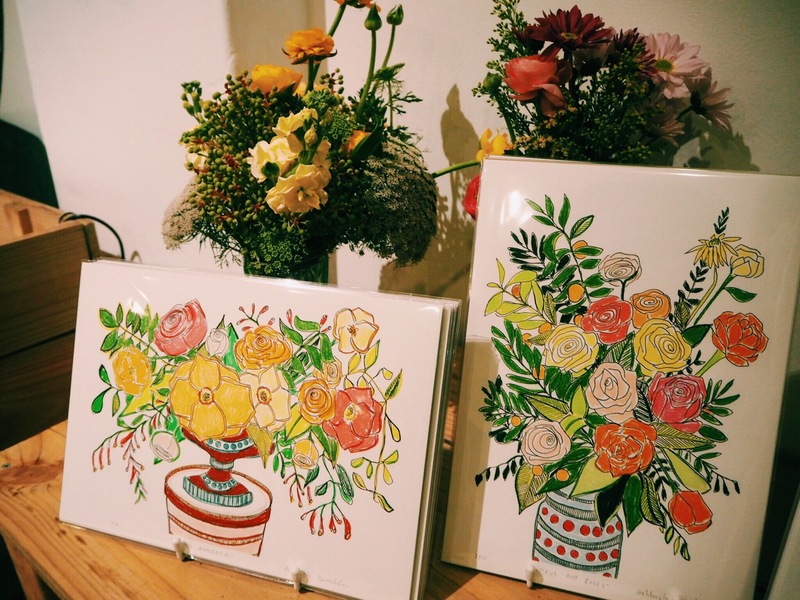 “Floral design is an artform and I absolutely love finding inspiring imagery that will be the starting point for my drawings”, she says. 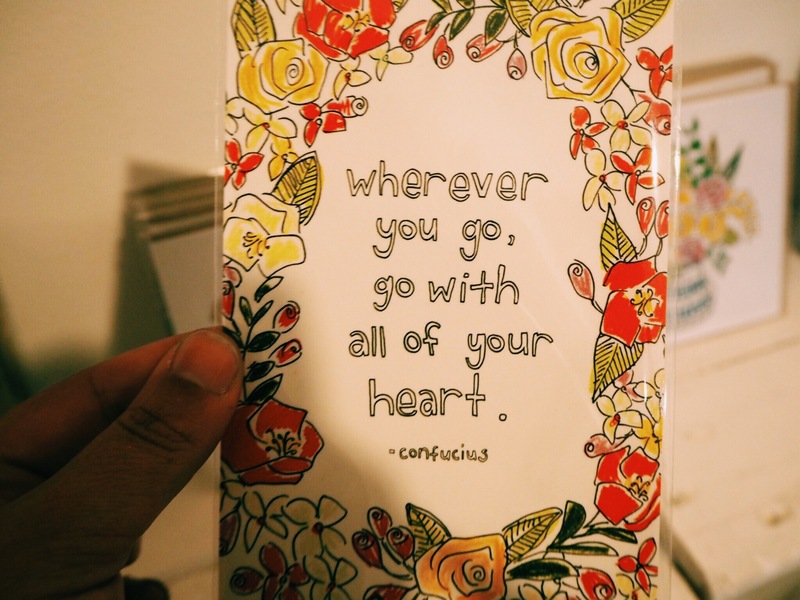 I can’t attend one of these kinds of events without picking up a little token and I walked out with an artistic, floral quote by Confucius accompanied by Ashleigh’s beautiful floral deigns. Now where to put it? If you’re a flower fan (who isn’t?) you better visit Ashleigh at the Spring Upmarket at UWA on September 13. Or if you’re keen for a road trip Ashleigh will be selling her wares at the annual York Bazzaar alongside Ali J and other Perth creatives. It’s always better when you support local. Beautiful work she does. Great post. I love roses, peonies, and every single other flower out there. Isn’t her stuff gorgeous! I would love a huge print in my loungeroom!